Françoise Simon has lived a life well lived: she's been a journalist in New York City, hung out with James Brown in Paris and was on friendly terms with Don Cherry. She would have continued to bounce around the globe if only the death of her beloved father in 1995 hadn't put an halt to it all. It's been now more than 18 years that she has been handling practically everything on Domaine du Moulin Pourpré, only using the help of her very small crew. As i visited her domaine in the "hameau" of Colombier in Sabran, she was more than eager to share her experience and her passion for wine with me. When her father passed away, Françoise suddenly found herself as the only heir of a family tradition in winemaking dating back for more than 10 generations… With very little knowledge about the trade (the memories of herself tasting some wine as a child was the closer you can get from her then level of expertise! ), she jumped onto the bandwagon. Connecting with the vines, learning their secret was a way to transcend the pain of the grieving process. With the support of one of her neighbour who was able to share with Françoise the knowledge her father didn't have the time to pass on to her, she started taking notes on everything there was to learn about vinification, winemaking, blending, so on and so forth…. Soon enough, she found out that taking notes was far from being the only method to learn about the vines; she had to open up to it, let the vines speak to her and embrace the challenge and the complexity of winemaking . She had to be willing to jump into the big unknown with no holding barrels. After a few hits and misses at her early stages, her tenacity has proven her right. And most importantly, it has shown to everyone who was expecting her to last no more than a year or two that they were wrong, oh so wrong! She has acquired the ability to create amazing blends, which have been highly acclaimed in many agricultural competitions and have received amongst the highest accolades in the region. 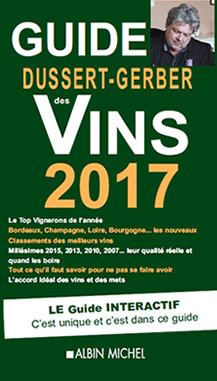 If i had to list it all, this article would be twice as long, just saying… Even her single varietals are beautifully crafted, and reflect not only a great "savoir-faire", but also an obvious passion for the trade. I was able to sample her Cote du Rhone Blanc Cuve tradition 2012 (a blend of Bourboulenc & Ugni Blanc), which was a nice dry white, with a good acidity. Her second white, "Venus 2012" (using the same varietals, but with a longer time spent in barrels), managed to render a wine more supple, almost sensual, with rounder finish of peach and honey. It was like a voice has said to me "hey, wait a minute, there's something special there…". This was later confirmed by the tasting of her rosé "la Vie en Rose 2011", a blend of Syrah, Grenache and Cinsault, with a beautiful bouquet of red fruits yet with quite some finesse, nothing like these overly fruity, overly sweet rosés you can sometimes find closer to the South of France. This wine has won two medals at the Concours General Agricole de Paris, which is always a trademark of good taste from lesser known terroirs, as well as a Silver Medal in Avignon in 2009. 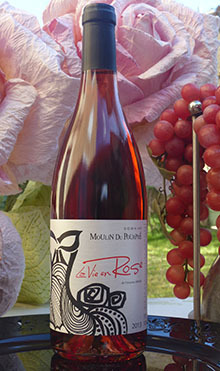 It is a joyous, friendly wine, very accessible whichever your requirements are when it comes to rosé. Then it was time to taste some reds. The Côte du Rhône Cuvée Tradition 2008 was a good representative of its kind, traditional and without any pretence, yet blunt and straight to the point. But the ones that really got my fancy were "Carmen 2010" and "Reine de Saba 2010". Let's start with "Carmen". Everyone has in mind the amorous passionara Verdi wrote about in his opera. Inspired by the famous arias, Francoise Simon managed to encapsulate the whole she-bang in her wine: it's a voluptuous body draped in a fancy red velvet dress. This Grenache/Syrah reveals a fruity aroma, in which blackcurrant, spices and a hint of chocolate are coming together in perfect balance as the complexity keeps evolving in the mouth. It is an extremely seductive wine that can only put you under a spell, as it did for the jury of the Concours de l'Union des Œnologues which gave it a Gold Medal. As for the "Reine de Saba", there couldn't be any other grape than Shiraz to represent both mystery and sensuality. The Queen of Sheba has been known not only as a stunning beauty, but also a smart and wise lady. She stole the heart of King Solomon, and one had to be pretty confident about its wine to bless it with such heavy heritage. Yet, this wine is a big success: it epitomises all the fantasies one can have about the Middle East. It's a wine which makes you travel far, far away, and before you know it, you are transported in a caravanserai under the desert sky, where belly dancers are doing their sensuous moves… The most masculine wine of Françoise Simon is velvety and strong in tannin, yet stays very supple on the palate, and i particularly enjoyed the little liquorice taste on the finish. Article written by Carolyne Borel, a friendly of Françoise Simon.